Well, it’s not exactly a secret anymore. The BBQ-season started a long time ago. In fact, this is the third time this year i’ve fired up the grill. My parents aka Daddy Cool and Ma Baker came for a visit yesterday, and left today. Kind of cool to see them every once in a while too, not every day I get to meet them. 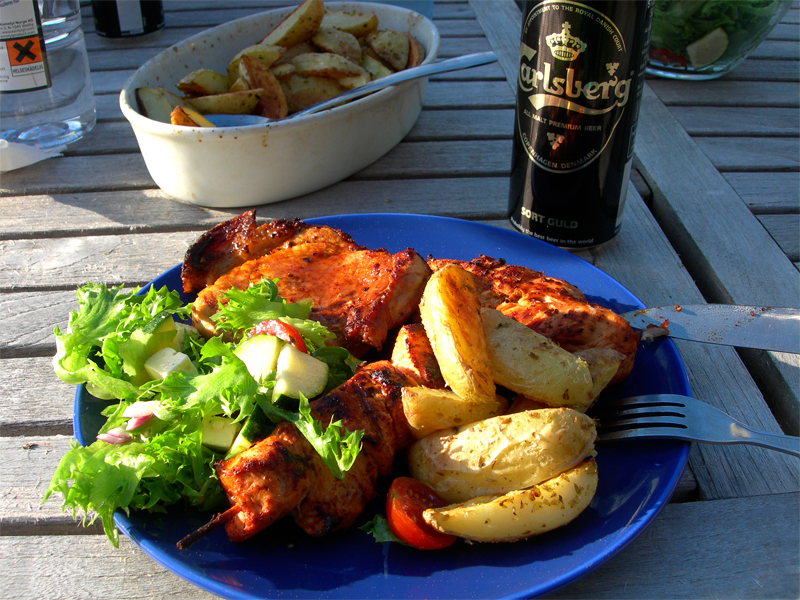 BBQ is perfect when you have guests over. Doesn’t look too bad right!? It was lovely I’ll tell you! Right now Im trying to get back on track, this stupid sickness or flu i’ve had this week is dragging me down like a dead fly to the ground. Really challenging to balance work and sickness, but I guess I just have to bite hard and do what I have to to. Working this night as well. 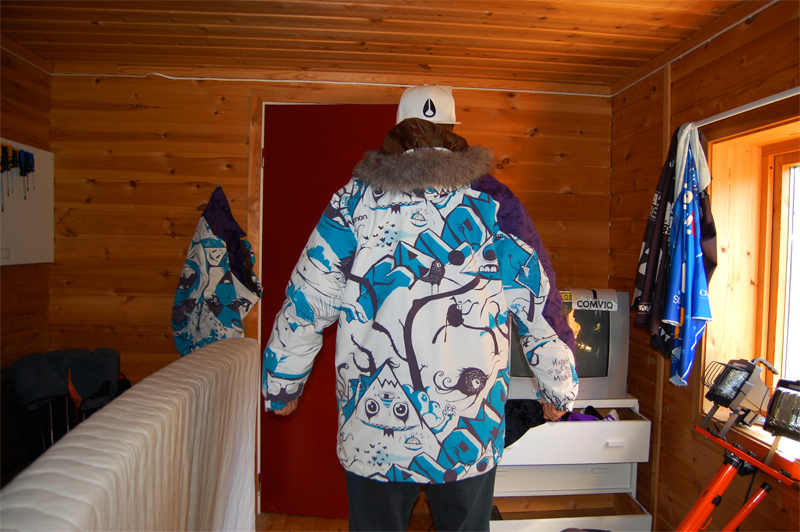 Since I have got two Magic Jackets in my basement, and since I have only been using the one in xxl, you are more than welcome to buy the one in XL of me. 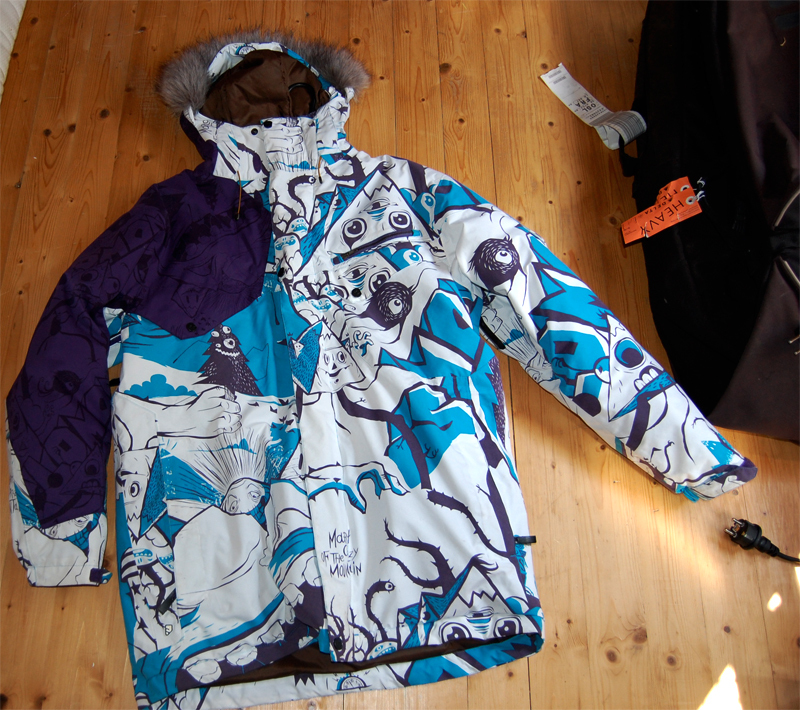 It has been used two days only, and not for skiing. Only casual wear. Contact me HERE if you are interested. As of what I have heard, the jacket is sold out everywhere, so it would be smart to buy it here if you want it. Have a good day, I am still sick… and it’s getting on my nerves. Well there you have it, last two days I have been sick and everything has been like a blurr. I think I need to eat more fish. Doh! Good news has come along today, and that helped a lot on my mood. My friends from Fightline sent me a huge package which I recieved today! I wanted to try out boxing as an alternative training besides trampoline and working out in the gym. 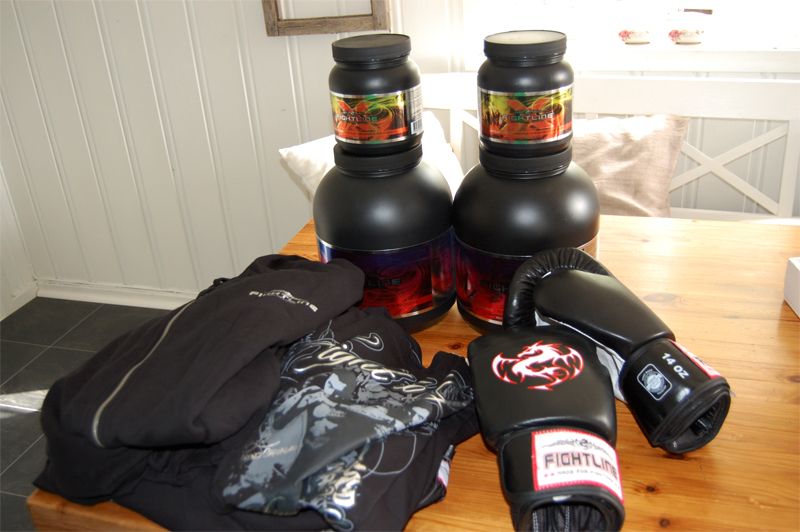 Lucky for me, Fightline not only make good nutrition suppliements, they make boxing-gloves as well! Thank you guys! Not feeling to good ? Absolutely not, but I will be back soon! Every single time I get sick i’m having a hard time eating. 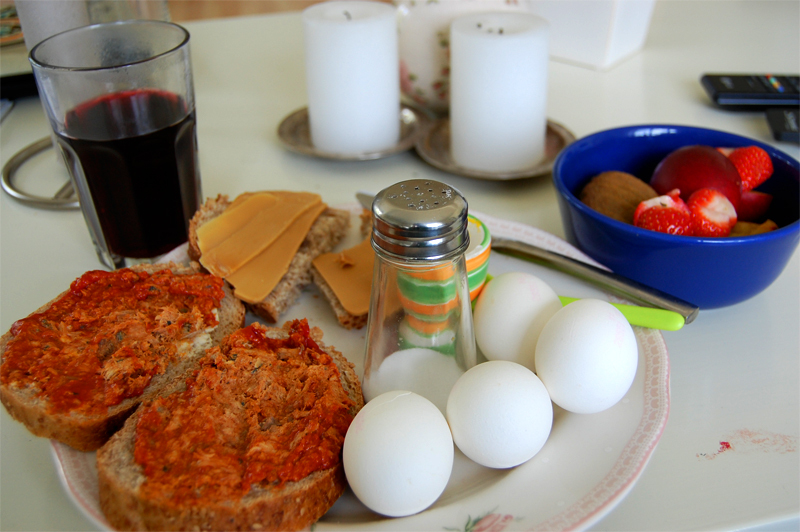 This time I decided that was not not going to happend, and therefore I forced myself to eat this shitload of food for breakfast. Yum ! 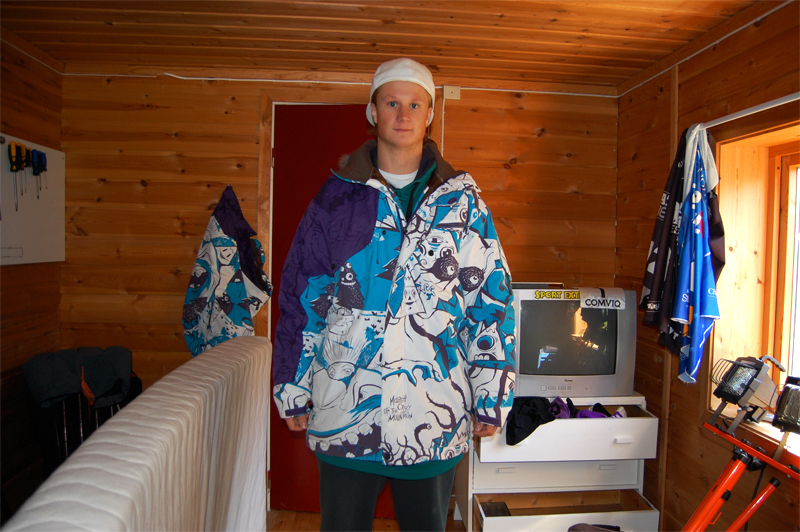 Also I am very happy today, got to know something that has a great influence to my skiing, clothing. I cannot say much yet, but you will see for yourself soon enough! A week since last post, and last time I was skiing. Atleast it’s not a month since last post… I’m getting better. 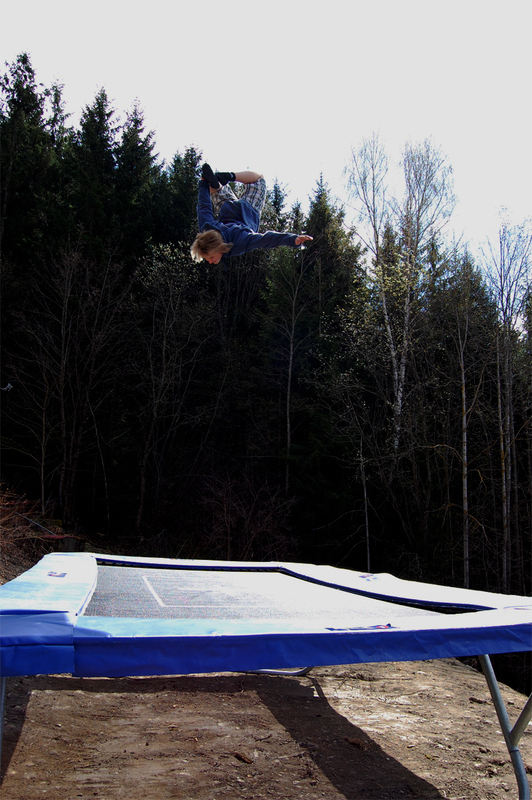 I usually don’t do much trampoline during summer, but this year I have got my trampoline to were I live, and it’s just awesome! I’m enjoying it more and more, and it’s so fun! 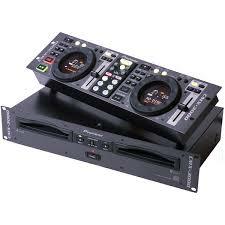 Check out how it looks! Just a few shots from today, a little rusty, but stoked on the 9! Yes! 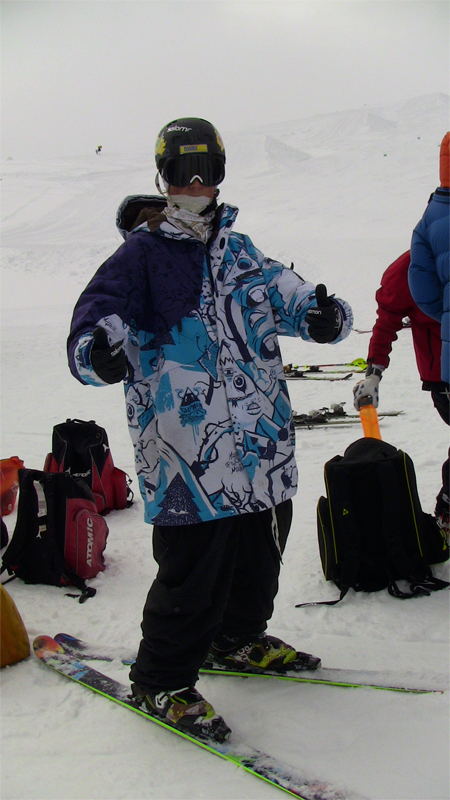 I do work as a full-time salesman, and a part-time dj, but I am still a skier! That is what I do, and today I found out why I do it all winter and even in summer-time (as of today)! Ida’s dad loaned me his pickup and helped me switch to winter-tires at 7 am this morning. Why? Because me and Bent Jonny, a guy I am working with, wanted to go skiing the first day Juvvass Glacier was open! 3 hours each way, but SO worth it! We made it up to the resort at 11.30 am, and we were there for 3 hours, since the weather was not top notch. Really bad visibility sometimes! But we shot some film with my camera, and I learned a trick I have been longing to learn for a couple of years. It is probably a “must-have” trick when it comes to slopestyle competitions, but I am really proud of myself, and really super-happy to finally have done it. It is not the sickest trick in the book, but when working so hard to learn ONE single trick, it is a big relief when you finally put your feet down on it for the first time! As I said, really bad visibility with a few dashes of sun every once in a while. We had tons of fun anyways. The park at Juvvass is really cool. 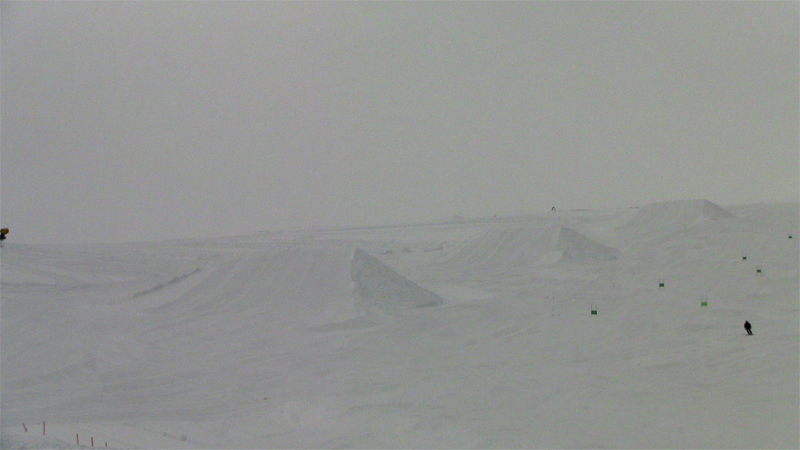 The jumps looked small at first sight, but after running over them for a few laps, they seemed a lot bigger! I simply loved the second jump! Long day yesterday. Work from 9 – 3 and then from 10.30 – 03.30. 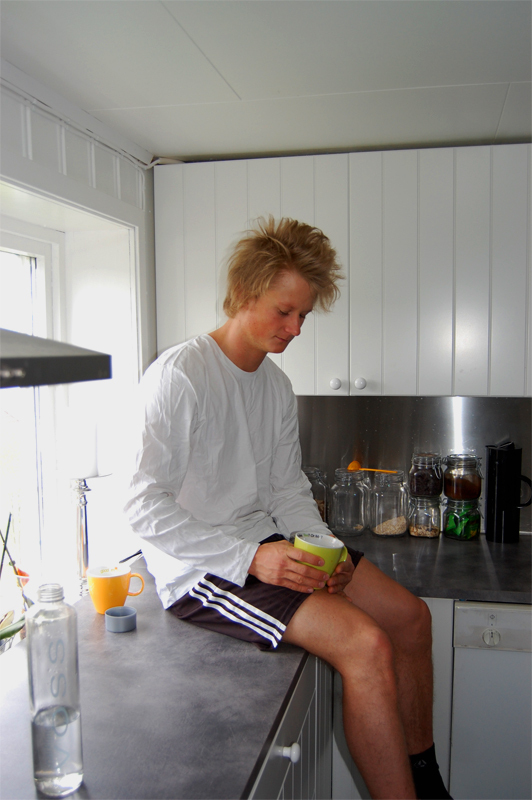 But a good nights sleep and a decent eggs & bacon breakfast did wonderful things with my mood. Ida returned from vacation, and we did a lot of work outside and inside the house. Good to get things done. I took some time off with busting out a few tricks on the tramp. Goodtimes! 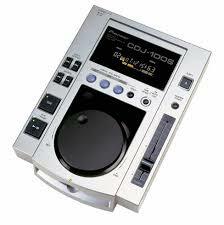 Right now I just need to get the controll back, before I start out with any huge spins or dub flips. 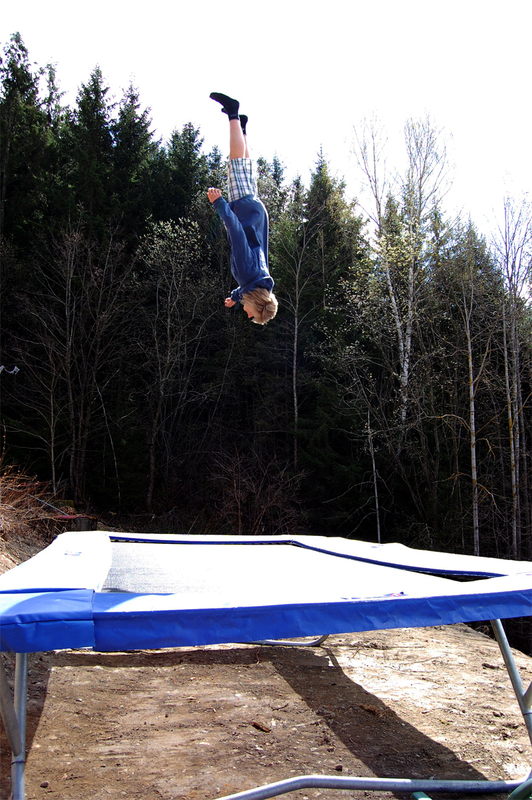 It is really important to be able to stay at the excact same spot on the trampoline each bounce. Elsewise you will be thrown off quite easily! So much fun! Did a dub misty too!